Hitting three birds with one stone, Scott talks about his travels across the country – from coaching and meeting a lot of people, to gaining assets. 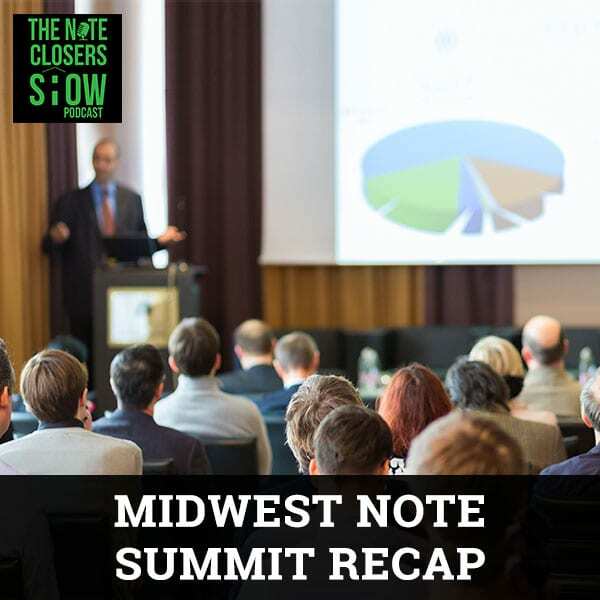 Scott discusses the Midwest Note Summit, along with the Ohio Note Roadshow. He raves about the many great people and great connections he met along the way, knowing how so many people are out there to express their interest and appreciation on what the show has been doing. Calling out to everyone for some future events, he gives a preview on what to expect when it comes to deals and investing and buying and selling notes. It is good to be back in Austin, Texas. We were in the Buckeye State, Ohio for a couple of reasons. We killed three birds with one stone basically with one trip. I have to give a big shout out and thanks to Vena Jones-Cox for having me speak at the Midwest Note Summit. Ultimately, the main reason we went to Ohio was to speak there. We put out a good event, 100 plus roughly. It was great catching up with Keith Collins, Bill and Heidi Griesmer. It was great seeing a lot of people out there too that we’ve known online or people who have seen us here or have heard us here or on our webinars and getting a chance to meet them in person. I also want to give a special thanks to Bill Griesmer who runs the Columbus COREE, Central Ohio Real Estate Entrepreneurs Special Interest Group on Notes. I spoke there. It was great seeing you. It’s always great to learn something new. I hang out with Donna Bauer for a little while who was on the previous episode. I want to thank all of you. Many of you appreciate my candor, my straight to the point of the show and our Note Night in America and our coaching and training. We will continue to be straight to the point. We drove roughly about 55 assets, a big chunk in our current portfolio or joint venture with other people and about 22, 23 of them were with two different funds that we’re looking at as well. Some of them we will make offers on, others are we just won’t waste your time with because they were just trashed out. The nice thing is being able to hit a bunch of assets at once. The ones that are ours, I’m we’re pretty excited about. We were able to identify a few who weren’t paying. They were occupied. A big shout out to Madison Management whom I sent an email. They text messaged back and forth my asset manager. We’ve already got door knockers up to three of them. Two of them are looking to start their first payment, which is nice. Also, we had a borrower on. It’s like divine intervention sometimes. In this business, stuff just happens that gets you excited. I’ll give you an example. We started in Columbus. We worked our way around the state, become a big P to wrap up in Cincinnati. We hit the west. I think it was Newark, Ohio up to Akron and Canton area and crossed through Cleveland. When we wrapped up speaking, we left the Great Wolf Lodge where the event was. We drove down the twenty-minute drive to where this house was in Cincinnati. It was vacant. I was actually able to get into it. It doesn’t need a lot of work. It looks like an older person has lived in it and moved to a nursing home because there was a lot of trash, a lot of little stuff here and there. It was pretty easy to clean out. It was raining cats and dogs when we pulled there, but it’s not in a bad neighborhood. I have to give big shout out to Christina, our agent in Ohio and her husband, Darren. He gave us some great insights and value to the asset. We’re pretty stoked about it. We’ll be getting a cleanup crew out to the asset. We’ll get the cancellation of the contract signed by the borrower and returned to us as well and move on. This asset is somewhere at least $70,000 is what we’re looking at. It is a great little neighborhood in Cincinnati. There are some higher ends that had been rehabbed that are in the $149,000 and $150,000 mark. Pretty much $70,000 range will probably drop just a few grand until we get it cleaned out and sell it as is. Maybe we’ll sell for $40,000 to $50,000 because it does need paint, carpet and a little bit of upkeep to it, but it’s still in great condition. It will more than double our money in right at about twelve months. It was a great event with Vena Jones-Cox. I was very excited and proud to see Bill Griesmer get up and speak. He did a great job going through about 45 minutes on due diligence. Obviously, you can’t cover due diligence on notes all in 45 minutes, but Bill made the best of his time. It’s great seeing him grow as a note investor, especially in the last six to twelve months. He has blossomed. I saw his wife, Heidi, as well, just great people. It was great seeing Keith Collins. He actually spoke on a contract for deed that he bought there in Ohio. He did some great stuff. Kudos to Keith. The thing to keep in mind is if there’s an event in an area that you invest, it’s sometimes worth jumping on a plane and going into it. While it seems we have not stopped traveling as much like we talked, we are traveling less and less and doing more and more stuff for us for the most part. We killed three birds with one stone, with a lot of assets, meet some new students. We’ve got thirteen or fourteen people to sign up for our coaching and training, which is great. I’m glad to have them a part of the note family. If you get an opportunity to go out and network with people, meet some local experts, it is so well worth it. Our realtor, Christina, there in the Dayton market, she pulled up values for us. I’ve got to get her some numbers, which she helped us try to wholesale to do the contract for deeds that are in the portfolio. It was great meeting Justin Bogard from BrightPath Notes. He did a great presentation on wholesale on notes. We’ll probably have him speaking at Note CAMP 6.0. You’ll start seeing some serious stuff with the Note CAMP kick in. Note Summit: If you get an opportunity to go out and network with people, then it is so well worth it. I think Donna Bauer and I might do something together as well. We’ve talked a little bit since we do different things, but have similar messages. It was great bouncing back and forth, gently jabbing at each other a little bit throughout on different things because we only have two educators speaking there. We had a great time. We met some great people, great connections. I want to give a lot of love out to our extended Note family. To the new people and the people who have been with us for a while, I just want to say that we appreciate you. Steph and I had a great time. I love getting your feedback. I love knowing that you are enjoying what we’re doing. It totally makes it worthwhile of what we do here on a day in, day out basis for the most part. It is important if you’re going to be posting, “Here’s a potential deal, here’s a potential stuff,” try to have as much information on the asset when you post it. I get it, you don’t always have time to put eyes and the ears. You don’t always get a chance to see what the asset looks like before you get a counter back. Always try to have as much due diligence as possible. Your due diligence, you’re checking your stuff there is paying off. I know you’re wanting to pull the trigger and get a deal closed. I know everybody wants to do that, but you don’t want to do a bad deal just to do a deal. You don’t want to do a bad deal just to say you’ve done a deal. That’s not a smart thing. Be smarter. There are plenty of assets out there to get rocking and rolling. Speaking of what’s going on in Note Night in America, it’s going to be all about Sending the Damn Email. The gist of Note Night in America is about getting the email out. I’ll walk people through setting up MailChimp email, posting things in there and what to send it out. How to get it sent out, how to do your follow-up emails so that you can set something, set it and forget it. You can systemize your email campaign, your email marketing to your database. That’s an important thing that I think a lot of people struggle with and we’re going to focus on that. You can always go over at WeCloseNotes.tv to get the replay of that. You can text the word NOTES to 72000 and it will allow you to download a PowerPoint presentation. It will also give you the link to the replays usually for Note Night in America or you can go to WeCloseNotes.tv to download that. You can also go over to iTunes and listen to the actual Note Night in America podcast. If you’re in the DFW area or in Texas, you should probably make your way to Dallas for the Propelio DFW Real Estate Meetup. We’re so excited to be a part of this. Daniel Moore, Ryan Harper are doing a great job with Propelio investor tools and their Meetup groups. They’ve had 422 people who signed up for the event. I’m sure there are over 500 already signed up for this event. We’re going, first time ever. Finally, the schedule worked out good. We’ll be there with a booth as well, hanging out, networking. Just having a great time with everybody as well. If you’re in the DFW area, come on by the booth. We would love to see you and get to know you. If you’re part of the Note Nation family, come by. We’d love to take some photos, get it out there and just visit. That’s what this is all about is talking with people and getting a chance to meet everybody who’s out in Note Nation out there. What I am so proud of more so than anything else is talking to people who are closing deals, talking to people that are changing their lives that are doing some great stuff in their note business or making strides, who are leaving their job, they’re making money and they’re doing amazing things. That’s the most valuable thing about why we do what we do on a regular basis is to help those who help themselves. The DFW Real Estate Investor Meetup is going to be held at the Palace Theater in Grapevine. A lot of people will be going into this. Ryan and Daniel did a great job. I think there’s free food and free alcohol as well, which is never a bad thing. There’s a lot of networking. 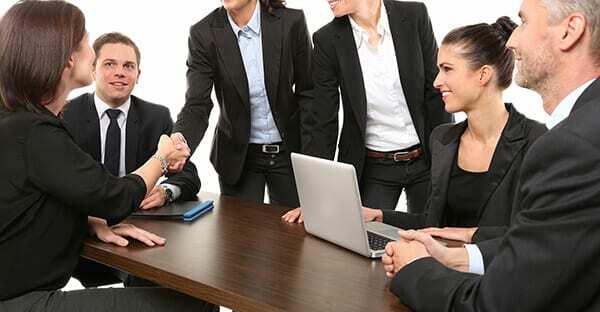 Bring plenty of business cards so that you can network with people. You can expand your database dramatically to take advantage of what’s going on. That’s most important is getting out networking and you go to an event like this. There are 400 and 500 plus RSVPs for this event. We’re excited to be there. We’ll probably have some fun stuff. It’s hard to believe that we’re a week out from our one-year anniversary of the podcast. Not one-year anniversary from when we started, but one-year anniversary through the podcasts. We’re always humbled by the fact that we’ve had so many downloads, many viewers. We’re just south of 140,000 downloads, a quarter million plus views online. We’re really stoked about that. I did have an a-ha moment that I wanted to share with you all. The biggest a-ha moment and everything else involved with it is just sticking to your guns. The people that were at the Midwest Note Summit, a lot of people are part of the Central Ohio Real Estate Investors Association, which is great. A lot of people are looking to get into the note business. I think a lot of people are nervous about doing something new especially if you’re in a little bit more of a seasoned age factor. There’s nothing wrong with starting something new. One thing that if I can highly recommend more than anything else out there for you, those that are getting started in note investing or whatever it is, just take a deep breath, relax, be focused. If you’re trying to do twelve different things, you’re not going to have any success in any of those. If you’re focused on one thing, don’t be afraid to pull the trigger but more importantly, pull the trigger for yourself. I was talking to people, “I want a broker on some notes real fast. I want to get them under contract to sell them off real fast. Make $1,000, $2,000, $250. There’s nothing wrong with that, except the fact is if you’re brokering a note, you’re going to run into some issues. There are two ways of being a broker. One, you close in your entity and then resell it to the new entity, like a double closing, double paperwork. With bank notes, you don’t have a lot of closing costs when it comes to buying and selling a non-performing note. What you run into problems with is the trailing paperwork that comes to you. The assignment of mortgages, the collateral files. I walk in the office and I’ve got a file sitting on my desk that was shipped over to me. The trailing paperwork from some collateral files that we bought. The problem that most people run into is wholesale. In wholesaling they’re not on the assignment of mortgages. They’re not selling it to making a quick little pass through fee and then putting people together. The buyer should be contacting the seller on those directly. The problem that you run into is if you buy and sell really fast and put yourself in the middle is the trailing paperwork. If the assignments drag on, the collateral files take a while to get shipped out there for you. Your buyer, the person that bought it from you is wanting that stuff from you and you’re waiting for it coming from the seller side of things. Those things can drag usually takes 30 to 45 days most of the time. Sometimes it’s faster, sometimes it’s slower. What happens too is if that the collateral files are shipped directly to the servicer, you don’t have a chance to look at the assets or look at collateral files. I’m a big proponent in looking at collateral files and checking to make sure assignments are recorded. Making sure they’re in there or they’re ready to be recorded. I would also make sure you get your assignment is recorded when you’re doing a pass-through transaction like that because that’s important. What you don’t want to happen is have the seller send the documents out to somebody and you’ll not be able to track those or see those. 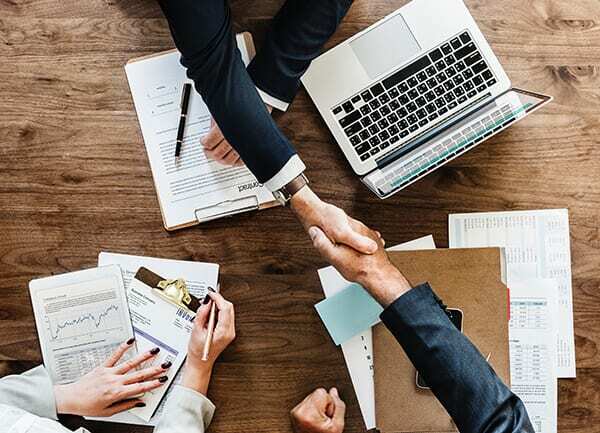 That can drag things out especially if the seller doesn’t record them and then they hand them over to your third-party service and then you’re trying to get to the new buyers or the party servicer. If you’re buying notes and selling notes, buy the notes with the intention to work out the assets yourself. If you’re just going to sell them to somebody else fast, honestly this is probably not the right business for you. You’re going to run into issues that will stress you out. If you’re making $1,000 or $2,000 $3,000 and you’re dealing with the seller or stuff, you’re going to have issues. Before you flip out, before you get crazy about stuff, pick up the phone, call people. A lot of times things can be worked out pretty easily if paperwork is missing or was shipped somewhere or assignments were recorded. Reach out to people. What’s beautiful about this industry is if you’re buying and selling or buying from reputable buyers or sellers or buy for people in this industry, there’s not much that can’t be fixed. 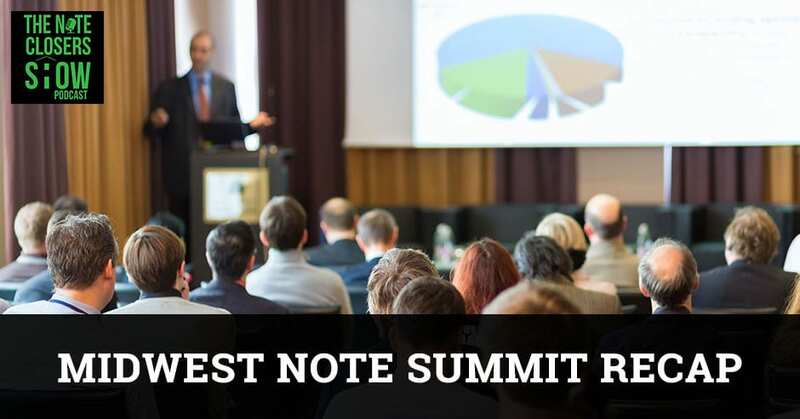 Note Summit: If you’re buying and selling notes, buy the notes with the intention to work out the assets yourself. We have had assignments gone missing before. It somehow disappeared on either somebody’s desk and ship them out. They’re pretty easy to fix. I know we all want to start foreclosure in the first 60, 90 days. It’s easy to get an assignment re-created, re-notarize and reshipped out. It takes time. Follow the assignment trails on where you’re going. If you’re buying through a broker but you know who the sellers are, don’t bother the broker. Go straight to the seller. Go straight to the seller servicer if you know who that is or go straight to the seller’s file. Those will make it a lot easier for you because the fewer people you have involved in the middle, the better off. Usually the brokers that we have dealt with, they don’t get everything taken care of every step of the way. If you have a problem, just deal directly with the seller at that point. Not the broker, but go direct to the seller and the seller. It often saves you some headaches for chasing your tail, looking for everybody else and just like, “This is who I bought it from. This is who the seller was. I’m dealing with those two people and go from there.” That’s a helpful thing. Always, if you get a collateral file shipped to you directly, take the time to scan it if you haven’t scanned it already. Take the time to look at what you have in the collateral file as far as a soft copy and the hard copy. There are things that are different in the hard copy than a soft copy. Make sure you’ve got your assignments of mortgage, make sure you have all the allonges in the file. Do a little checklist before you ship it out to the servicer or to your collateral storage company so that you know for sure you’ve got those. It’s an important lesson learned. I think everybody struggles with the collateral and who gets what to begin with. It’s a normal thing. If you’re dealing with that, take a deep breath and we’ll get to the bottom of it. It’s easy enough to do. If you have other questions you’d like to ask about things, feel free to email them to me. Scott@WeCloseNotes.com is probably the best email address to get it to me. If you’d like to discuss a topic on a podcast episode, I’d love to know what you’d like for us to talk about. I’d love to have you guys sent in some questions that we can discuss or case studies and go from there. We have Note CAMP 6.0 coming on September 27th to 30th. A lot of people are asking me about that. We’ve got some great speakers involved with that. We’re finalizing our two keynote positions. We’ve got some great stuff. We talked to a few people.